The fourth rotation of Reflex Monthly Cups has been completed. 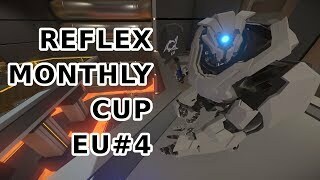 Congratulations to Vigur and Ramagan, respectively winners of Reflex Monthly Cup NA#4 and Reflex Monthly Cup EU#4. Vigur came out ahead of Hoyt in a surprising turn of events on 118 ping! This marks the first time that Hoyt has not come 1st in NA RMC, and the first time a player has won a cup outside of their region. Impressive from Vigur! On the EU side, Ramagan remains undefeated and win the title for the fourth time in a row. Thank you to everyone who came to watch, to the players, and to the Reflex Monthly Cups staff for another great tournaments. 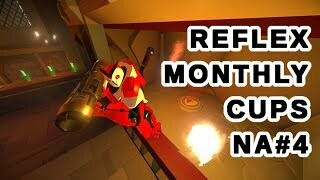 Reflex Monthly Cups is looking for more volunteers! If you are interested in any of these roles, please contact @DazedSpartan on discord. Thanks!